Your ambrosial style is unmatched wearing the Michele® Deco Madison Mid Silver watch. Three-hand analog display with Swiss movement. Silver white sunray dial face features Roman numeral indexes with 40 handset genuine diamonds, and brand logo. 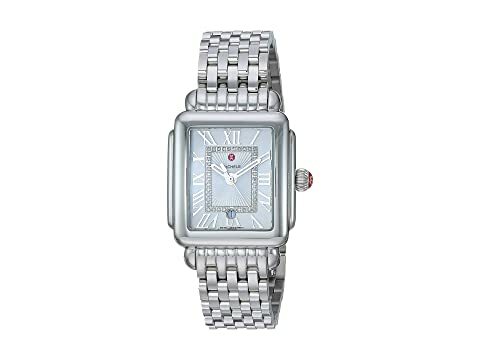 We can't currently find any similar items for the Deco Madison Mid Silver - MWW06G000012 by Michele. Sorry!